The Government has announced a £300 million investment package for Britain’s roads as part of the Budget 2016. The upgrades will include a new fund for fixing potholes, improvements to the UK’s major motorways and a new Trans-Pennine tunnel. The Government will provide an extra £161 million on top of the existing road programme to bring forward by two years the upgrade to the M62 between junction 10-12, Warrington to Eccles. It will also accelerate work on junction 20-25 Rochdale to Brighouse, which will transform large sections of the M62 into four lanes. East-west road connections will get a boost with George Osborne pledging £75 million to start planning for a new 18 mile road tunnel under the Peak District, between Sheffield and Manchester. The project will create one of the longest road tunnels in Europe and could eventually cost £6 billion, with options to enhance the A66, A69 and the north-west quadrant of the M60. Other road projects given the green light include capacity enhancements to the M1 at junctions 35a-39 (Rotherham to Wakefield) and upgrades to the M56 at junctions 6-8 south of Manchester. 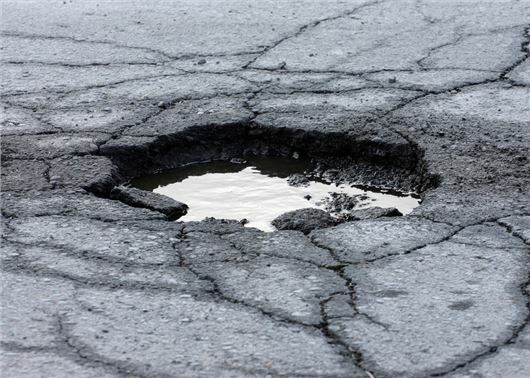 £15 million will also be added to a national Pothole Action Fund to repair around 277,000 potholes during 2016-17, while toll fees on the Severn River crossings between England and Wales will be halved by 2018.